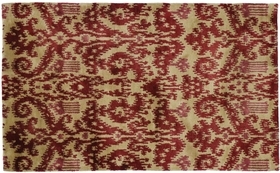 Modern Ikat Rug in Red 03'01 x 04'11 From Esmaili Rugs Collection. 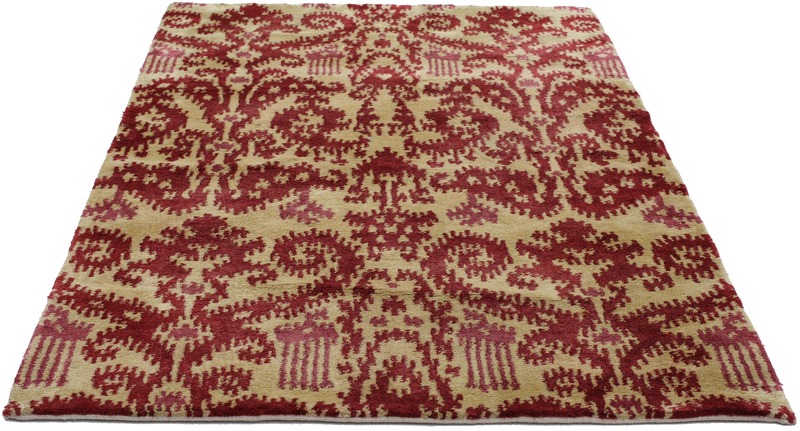 Hand-knotted wool rug from India featuring an ornate Ikat pattern in a vibrant red color palette on a creamy vanilla field. This exotic Ikat motif with its ancient roots looks fresher than ever. The rich red hues combined with this eye-catching Ikat pattern make a major statement without visually overwhelming the rest of your space. Try adding this global-patterned Ikat rug in a mid-century modern interior and watch immediately how it changes the personality from casually chic to warm and welcoming. Transform your interior and add a designer touch to your transitional or contemporary styled living room, office or bedroom. 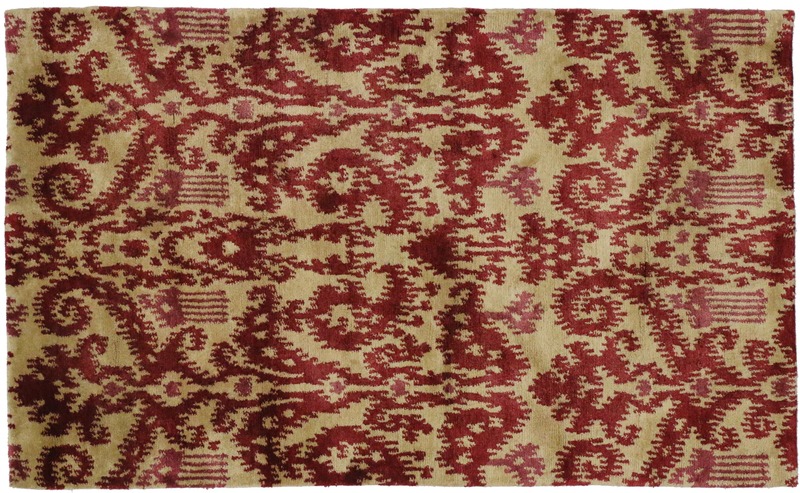 Whatever your style, this modern Ikat rug will add an elegant look to nearly any space. 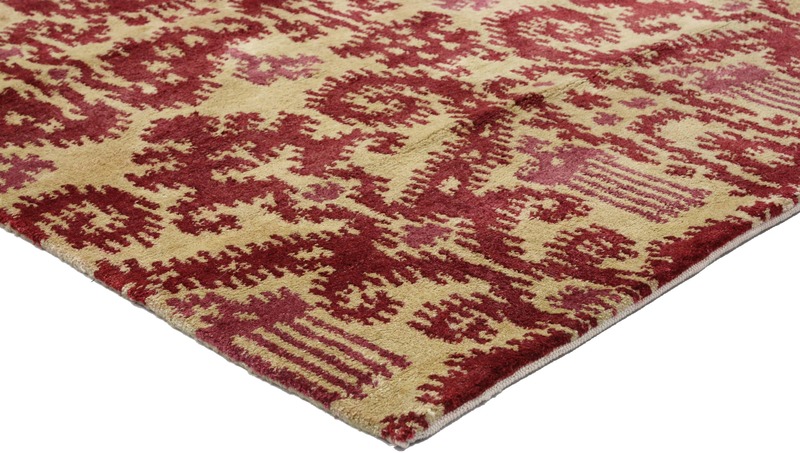 Smart, sophisticated and fun, this transitional Ikat rug makes a wonderful choice underfoot. Measures: 03'01 x 04'11.